Motivational speeches get a pretty bad rap. Many people wouldn’t even admit to enjoying them, let alone being truly impacted by an event. Personally, I believe motivational speeches can be very influential throughout the course of one’s life, especially if the presenter has heart, passion, and skill. Honestly, I’ve been struggling for the correct words to best describe this man’s speech, presentation, seminar, etc. “Motivational speech” just doesn’t do it justice. Even though I know that this was a polished, well rehearsed, and well timed demonstration, it felt deeply personal and amazingly fresh. What Did Chris Inspire In Me? He never gave up on his dream – So much to learn on this one. He stayed humble even through success – Even small successes can derail you. Don’t let it happen! He gave credit to God through everything – I know I can do better here. He never let go of being a great father – It’s way to easy to flinch on this one. Our kids deserve better. His commitment to his principles is amazing – Rock solid character is a choice. A series of hard choices actually. Admittedly, I already knew his story. I had seen the movie; it was inspirational. It was full of emotional ups and downs from beginning to end. But even though the movie was fairly accurate to his story, hearing him in person was totally different. Know Your Story Better Than Anyone – Your perspective counts. Details matter. Have a beginning, middle, and an end. 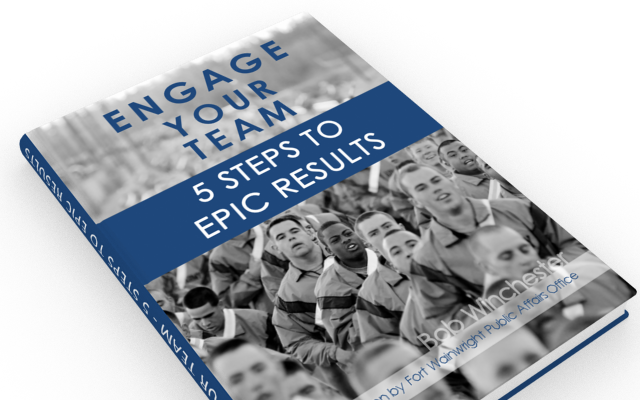 Deliver Your Story With Heart, Humor, and Attitude – Nobody wants a dry presentation. Let them know the salt & light that is you. Dress So Sharp, Your Momma Wouldn’t Recognize You – A sharp dressed man or woman gets attention, period. Name Drop As Soon As Possible (Especially if you know Will Smith) – Seriously, why the heck not? Sum Up Your Whole Presentation In One Phrase – Give them something to take home. Like a package for their brains. I realize that this post is a little dis-jointed. It’s not a how to article. It doesn’t follow the best practices for creating headlines. It doesn’t even directly correlate with Corporate Culture. But you know what…it doesn’t matter! 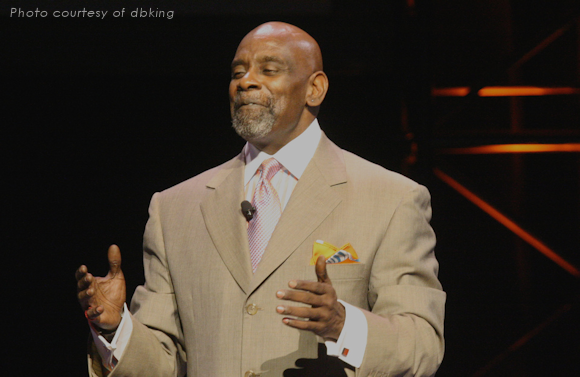 If I learned one thing from Chris Gardner, it was about perseverance & determination (ok, two things). Chris triumphed over some pretty fantastic circumstances and now he’s smiling. He’s loving life and living large. So no matter what you are going through right now…at work…at home…financially…spiritually…just remember that if this homeless dude triumphed, so can you! Stay determined! You will persevere! Question: What great motivational speeches have influenced you? Can you share any insights from them?